Paul Wright's winning SR and some other Gulp equipment he has. 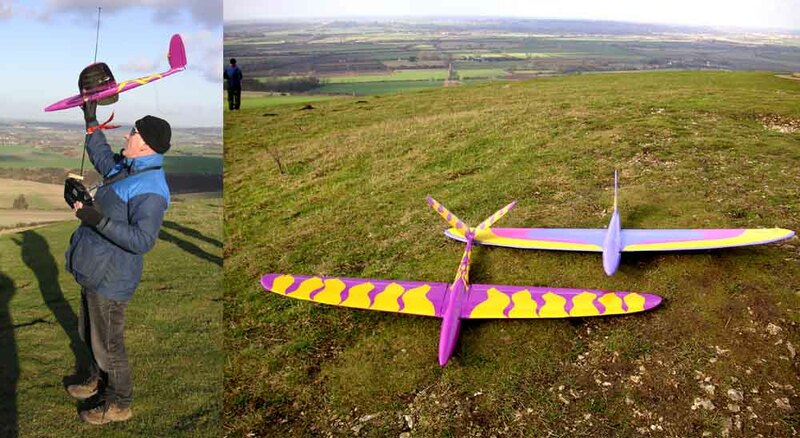 Paul won the last BFMA EPP 60" race last month. I understand he wowed the crowd by, in the fly-off race, catching and passing the a Half Pipe 60" that got a better start. Great flying Paul. 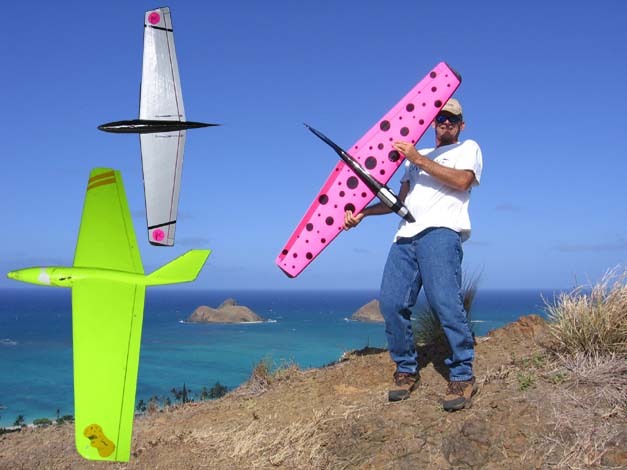 Here's Rich Gryde at a great Flying site in Kailua, on Oahu, Hawaii and a couple of nicely finished DS II kits. The lowest one was built by Zack Jordan. 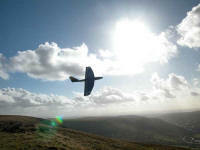 This site offers good front and backside flying most days. If you are driving along the coast in Kailua watch for Gulp designs as they have about every one available. 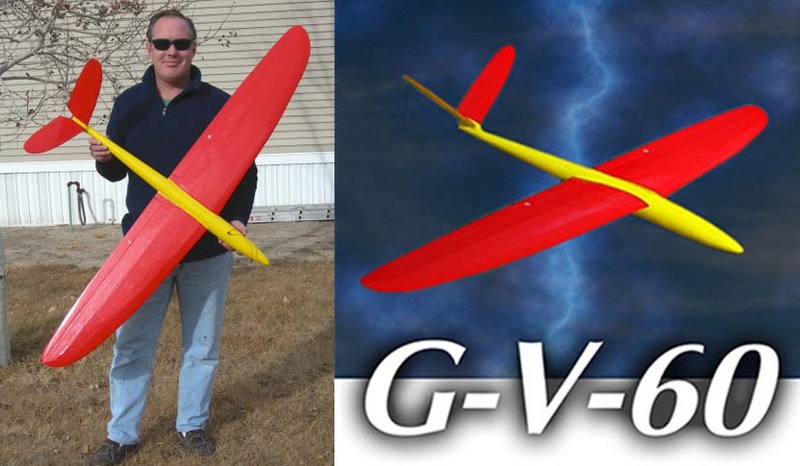 Here is a G-V-48 build as a G-C-48 by Dave Weller. Dave decided to build a conventional tail to make it stronger than a V tail. No loss in performance here. 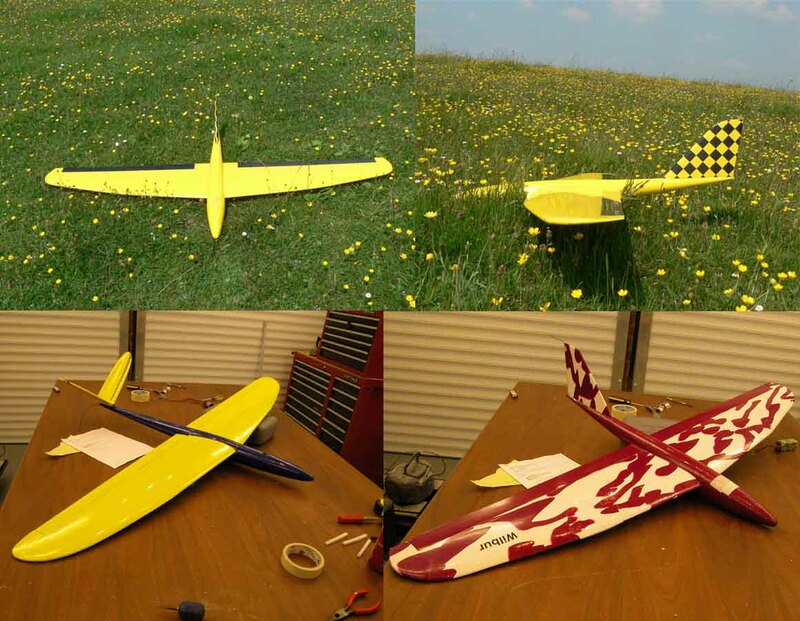 We model builders get to build what we want too fly. The Gulp designs are not ARF. What they are is a great platform for even more innovative ideas. Way to go Dave. Vince Roberts of N. Wales build this great looking DS II. After doing a nice covering job he added decals for a real custom look. 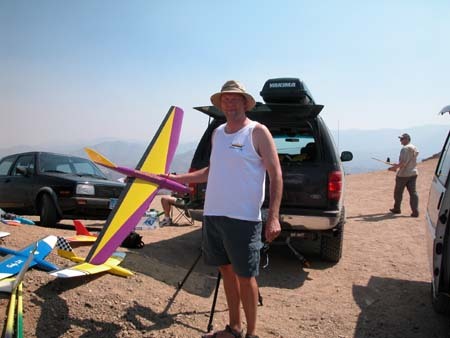 Behind the plane is we hope a future RC pilot, Jack Roberts. Vince got the decals from king500@msn.com and at less the a dollar you can put some personal touched on any model at a great price. Thanks for sharing the idea Vince. The photo was composed by Greg Luck. They are friends from I guess when they lived in Kona. 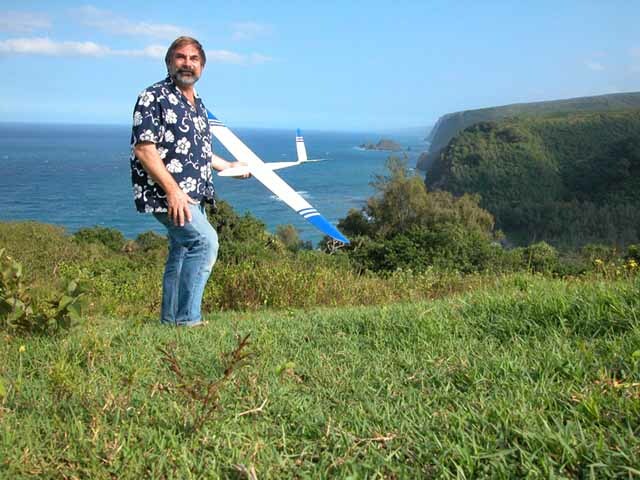 The big Island is a nice place to take a glider to. Especially if it comes apart for travel. 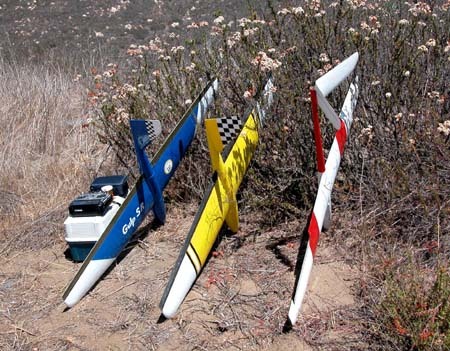 Check out the G-V-60 and SR by Robin Thwaites. He has done a real creative job building and covering. He's a creative guy. Robin goes to great length to save on shipping. He picks up the kits at his hotel in Las Vegas. He claims to be over on business. Well, he at least takes something home. 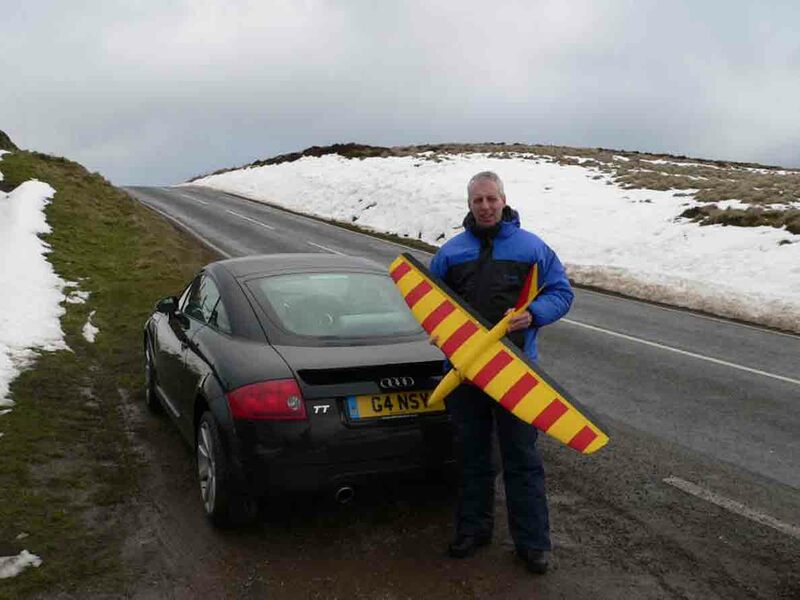 Dave Gains of the Straffordshire RC glider club in the UK sent me a picture of his SR. Sure Dave gets to flying site in the comfort of a great car but you have to love Slope flying to stand in the snow and no doubt freezing wind to fly your SR. I lost trace of who's plane this is but I love this photo. 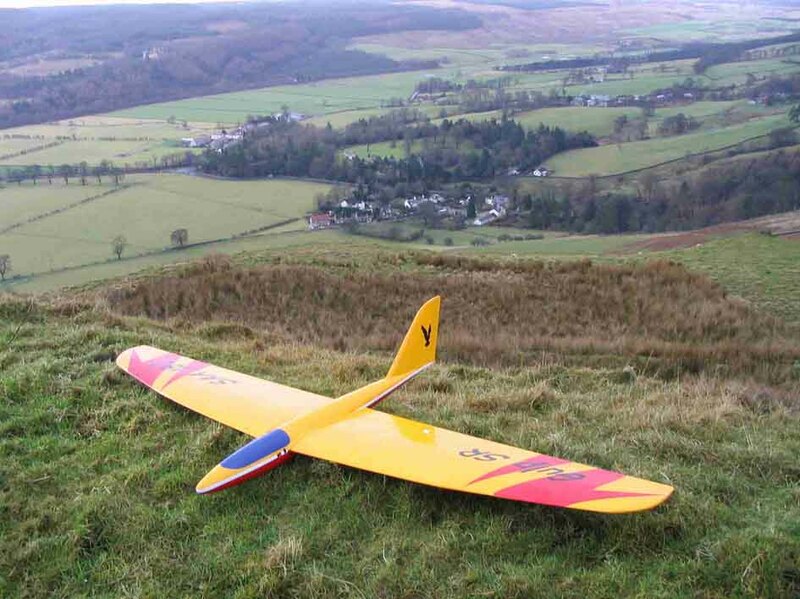 Is there any wonder why Slope soaring is so popular in the UK. Just look at the grass and great vistas below. The Brits can build too. Check the nice detail on this SR.
Carlo Cobianchi of Milan, Italy sent in some photos of his SR. Friends Stefano and Alberto owners of the shop "Bottega Creativa" plotted a Gulf logo and modified it to Gulp. Sr Logos was used to make adhesive vinyl sheets (Orange and Light Blue). 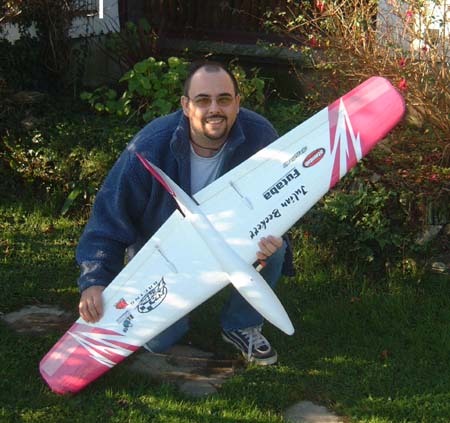 Carlo describes flying his SR as “very faaaaaaaaaaaasssstt!! !” If you are near lake Como and see an orange streak in the sky, It is probably Carlo making another speed run. Ciao Carlo. 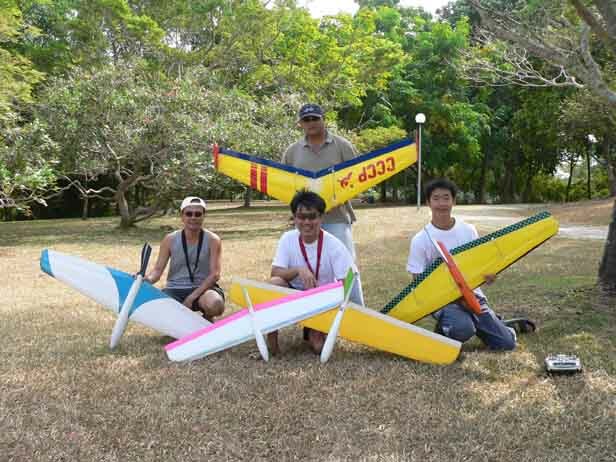 Lim A L just build a very clean DS II as his new plane for this years windy season. Nice job on the trim design. 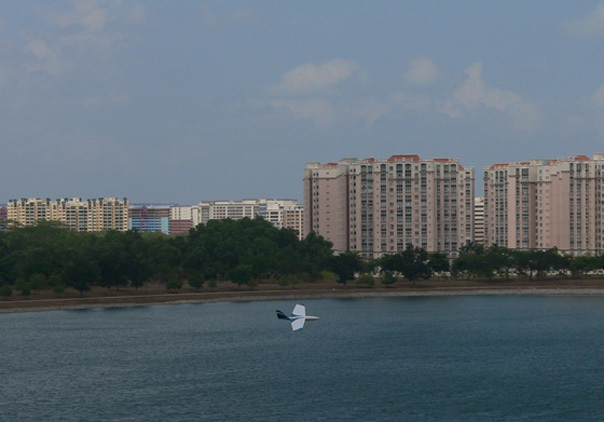 The group in Singapore flys mostly at one site off the Bedok Reservoir. Here the DS II in in good company with the Moth, M60 and JW. I see a race in the making. If I get back there again, I hope there is wind. The DS II against the skyline in Singapore. The wind blows regularly for a fairly short period during the year starting in January. If you not used to the warm temp and humidity getting out into the wind is a really desirable place to be. Aloha! Just ready to toss the G-V-60 for part of the tuning and trials. It blew about 30 MPH here one afternoon and I am now positive where the CG should be. This is at the north end of the big island. You could not ask for a prettier place to "work"
Just like the SR-T, the G-V-60 comes apart. I built mine with a removable nose not apart this day, it makes packing or gear access real easy. 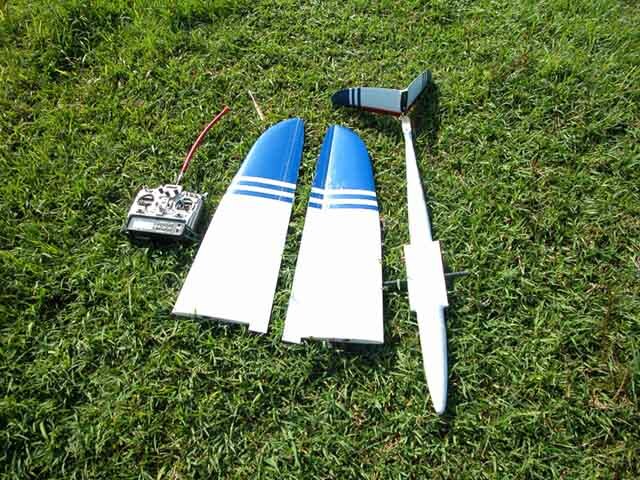 This design will be out as soon as I can write instructions and make a few kits. 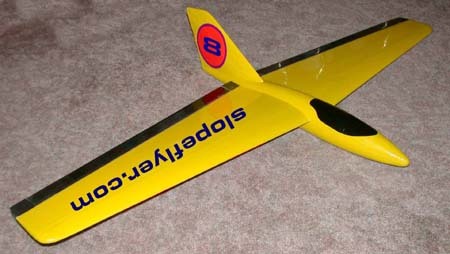 Yes, it is all EPP but the tail is balsa for now. Fred Seaman is a neighbor of mine. He has just finished this really pretty G-V-60 Prototype. 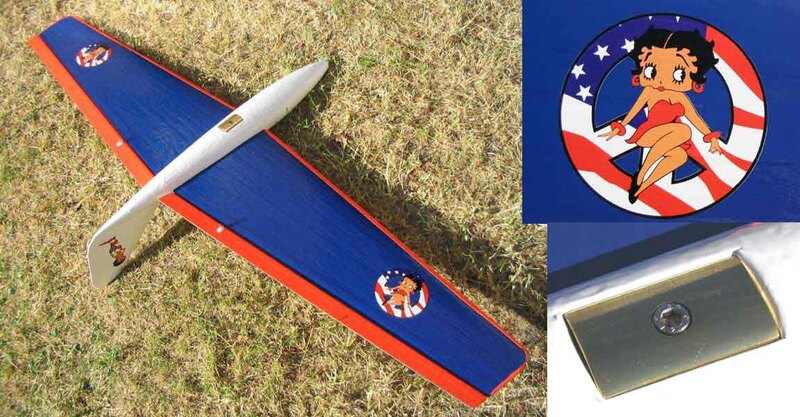 Among other items, Fred has been building beautiful planes from North County Sailplanes kits for locals short of time. He has recently discovered my kits. I and others are selfishly sad that he is moving to the UK soon but I'm happy for him. I think the UK is like going to Slopers Paradise. You have to hunt for rocks to hit. Watch out over there, he won the first 60" event he entered with his SR-T.
John Collins sent in this nicely trimmed SR. 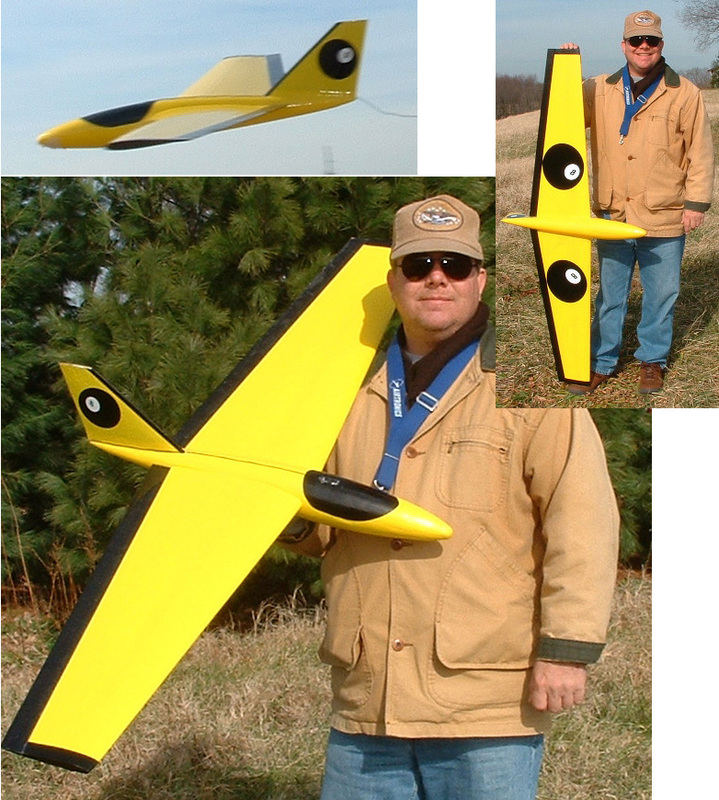 He flys from North Adams MA John took advantage of the winter to finish his new SR. I recall seeing some great places to fly there. This is the G-V-48. 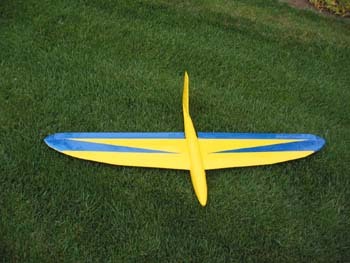 Designed for our local 48" foam racing class it is great for all type of slope flying. 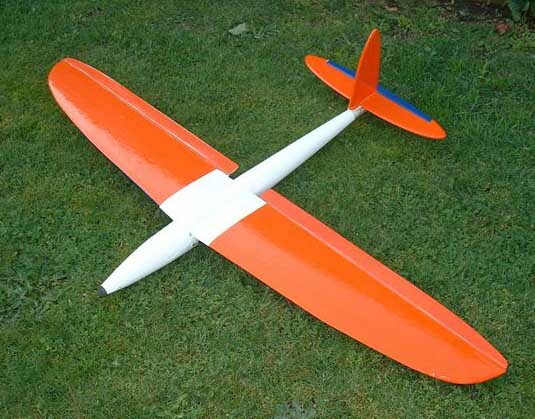 With a RG14 airfoil and flapperons it performs in light to heavy air. 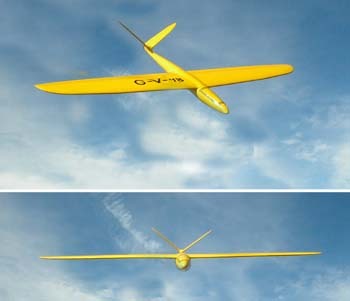 It has been redesigned with plug-on wings and is a faster to build than the original. I love the responsiveness of smaller planes and this one really cranks. 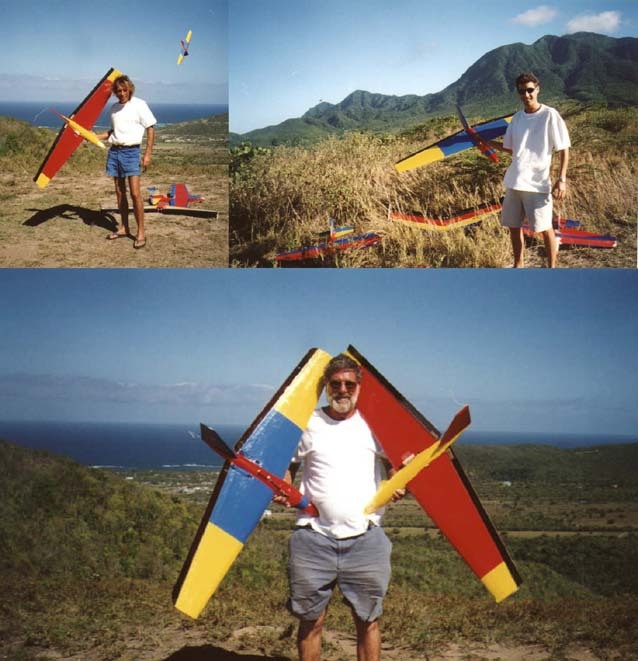 The RC flying club in Nevis has a flock of Gulp DS and SR's. Robin Cotterell (bottom) and his friends Sandy and Palmer are at their favorite site where the trade winds really blow. It must have been a good day of Robins photo as he apparently had to ballast to the max and fill his pockets with rocks just to stand at the edge. Yeah! My kind of air. Nevis is near Antigua south of the Caribbean. 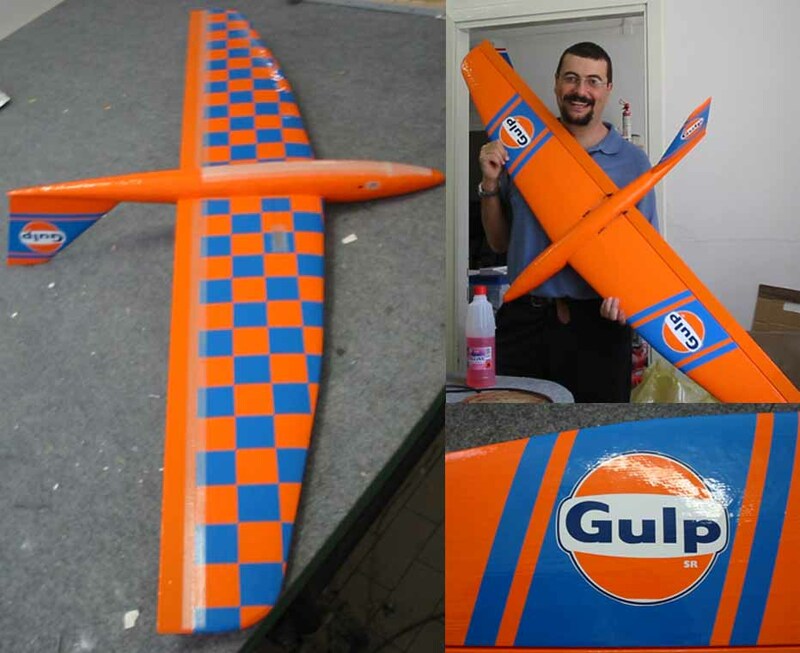 Julian Beckett from the UK has done a really nice graphic layout on his Gulp DS. Now I know how to make good use of those irregular pieces of covering film. Julian was the first owner of a Gulp in the UK. His is now joined by a growing number of others. Julian Beckett from the UK has also sent me a great shot of his Gulp DS in action. Many thanks to his father for risking life and limb climbing down the cliff to get this shot. 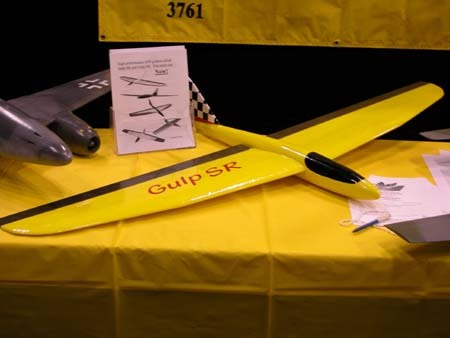 Bill Delhagen Built a real nice Gulp SR. 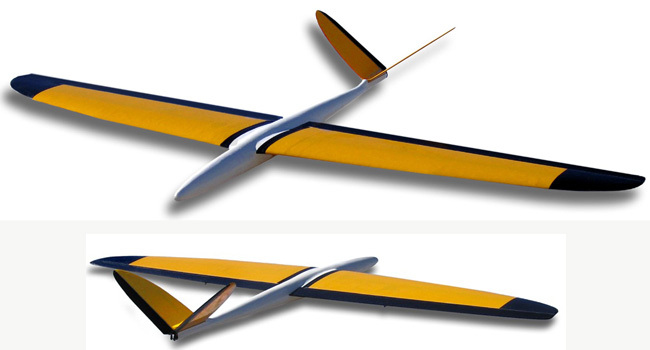 It appears the wing tip style with a front and back radius is becoming popular. While I think the pink Bill used, which looks almost neon is hot, It will likely remain his signature color. Bill is a real experienced builder. It shows by the fact he took he new plane to Pt. Fermin which has a 300 ft. straight drop to the surf below. Bob Leavitt is another recent builder who used the double radius wing tip for his Gulp SR. Nice detail too. 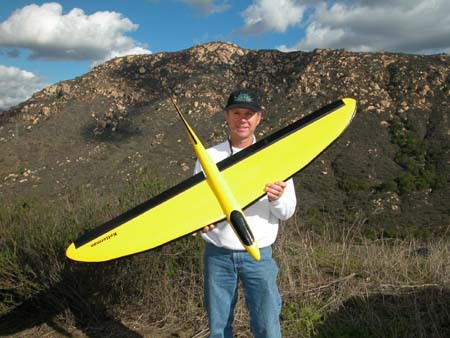 Bob Bingham at Parker with his Gulp SR. Bob runs www.gliderking.com, which has great forums and a gallery of member photos including mine. On this day we confirmed that fuse ballast tubes aren't the best when Bob ran out of elevator after we loaded up a fuse tube on his shinny new plane. More photos here. Greg Smith's Original Gulp DS. Greg has written his construction tips and included several photos on his website www.slopeflyer.com or here for the Gulp section. Wayne Thompson and his Gulp DS Check out the instructions Wayne put on the web. 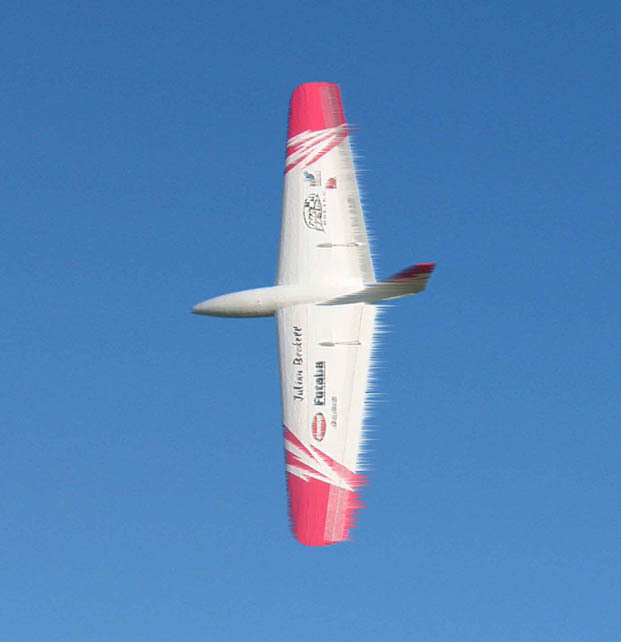 Dan Ketterman's Gulp SR has the most aggressive wing tips I have seen on the SR. This plane is whisper quiet. Hmmm, vortex reduction perhaps? Nathan Woods Gulp SR displayed at the 2003 AMA show in Pasadena. Everybody had to squeeze it but don't tell Nathan. Your Gulp here! Send me a few shots so I can group them together like Wayne's. Please send me your photos for the gallery.